However, you might not consider revenue accrued as your only valuable ROI metric. The value of social media marketing could also be measured in terms of the quantity and quality of audience engagement. If you are interested in considering impact on customer behavior versus just impact on profits, you need to perform advanced analytics. Analytics help determine which conversion events can be attributed to social media. This enables you to define your social media ROI and prove your value to the company as a marketer. For anyone who thinks investing in social media marketing might not be worth it, look at statistics that show companies collectively funneling billions of dollars into marketing via this channel. 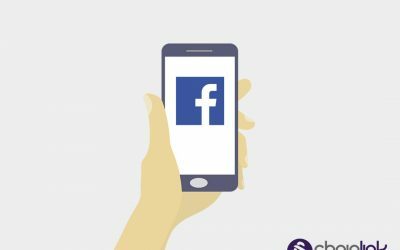 In the US alone, it’s projected that by 2019 social media marketing expenditure will be around 17.34 billion dollars per year. 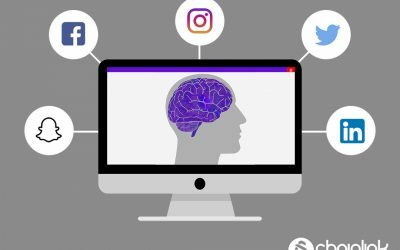 In order to maximize dollars spent, businesses are articulating concrete objectives for their campaigns to show a clear purpose driving their social media calendar. Social media objectives can range from being based on business conversions to customer experience and brand awareness and perception. Objectives are different from goals because they articulate what you want social media to help your business achieve, whereas goals represent how and when you’re going to achieve it. Let’s say you want to improve your customer service presence on Facebook, Twitter and Instagram. You can set a numerical goal and deadline, such as, “By December 1, we will have hired X number more employees who will be in charge of responding to X number of customer service inquiries across these platforms.” You can even break down a numerical goal into smaller, more actionable goals. Finally, metrics measure if you are achieving your objectives and goals. Some examples of metrics that can illustrate how you are accomplishing these objectives and goals are audience reach and engagement, website traffic, leads generated, conversions and revenue generated. When you’re deciding which metrics to use for measurement, you need to consider if they’re actually going to assist you with your decision-making process. Whether you are justifying the value of social media marketing to the President/CEO of your organization, or to a fellow manager or the CMO, presenting ROI in an easy-to-understand way is key. Tracking your social media ROI isn’t just to show that your social campaigns are valuable. Holding yourself accountable to your ROI is an important part of being a reputable marketer. A seemingly infinite number of factors can influence a social campaign’s success. Social media never sleeps, so social campaigns are in a constant flux. Your ROI will never be 100% predictable. As a digital marketer, you need to be transparent about your limitations. If for some reason you can’t measure ROI accurately in real time, be clear and manage expectations. Present what you do know with the data you have, and state what is and isn’t feasible. 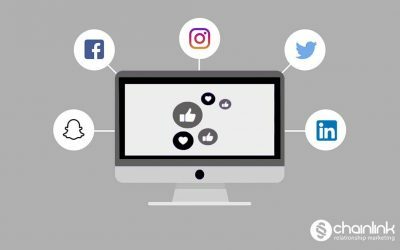 If you want to attain your goals for your social media ROI, you’ll need to update and adapt your strategy constantly. After you’ve calculated your first round of social media ROI, you’ll have a clearer idea about whether or not your data needs adjusting. You want to be prepared to demonstrate your expertise in a way that considers changes in customer behavior, technology, business priorities, and key performance indicators (KPIs). Setting business goals and calculating your social media ROI is not something you can do once and awhile. ROI provides your business with invaluable insights. You can know about the successes and failures of current and past campaigns. You can adjust and evolve your process according to these triumphs and shortcomings. Best practices for social media ROI will pay off in the long run. Even the most digitally savvy among us need professional guidance when keeping track of social media metrics. 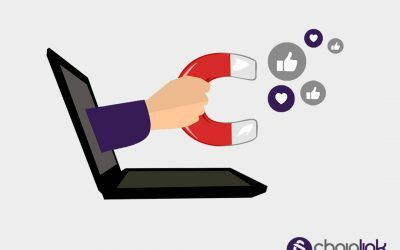 Thankfully, Chainlink Relationship Marketing’s managed digital marketing services can do the heavy lifting of social media ROI tracking for you. Also, our proprietary Chainlink Marketing Platform makes it easy for your customers to transform social media marketing into your biggest inbound sales tool. Reach out to us to learn more about how we can help your business grow online. We’d love to give you a free consultation. Also, don’t forget to sign up for our newsletter for more exclusive tips and strategies that are both effective and easy to follow.